I humbly invite you to please bring your family and friends on Thursday, November 5th, for the Grand 121st Divine Appearance Day of the Founder President Acharya of Sri Chaitanya Saraswat Math, Om Vishnupad Sri Srila Bhakti Rakshak Sridhar Dev-Goswami Maharaj. The programs will start at 5:30 pm in San Jose and 6 pm in Santa Cruz. Scroll down for details. Please come at noon on Wednesday as well, if you can, to the Santa Cruz Seva Ashram for a special feast honoring Bahulastami, the sannyas day of Srila Govinda Maharaj and Srila Janardan Maharaj, and the anniversary of the inauguration of the Pushpa Samadhi of Srila Govinda Maharaj in Soquel. The following Thursday, November 12th, we will celebrate Sri Govardhan Puja. Srila Janardan Maharaj returned a few days ago from a grand festival in Veracruz, Mexico for the anniversary of the installation of the holy deities there. In his lecture at the Sunday Feast yesterday he mentioned that one of the limbs of sharanagati, or surrender, is to accept what is favorable to devotion. Observing vaishnava festivals, including the appearance and disappearance days of our guru parampara and vaishnava saints, is an example of something favorable that we can do in our spiritual lives. With that, I hope you will join our upcoming festivals, and take advantage of the opportunity to associate with some very special visitors who will be travelling through the Seva Ashram this fall and winter. 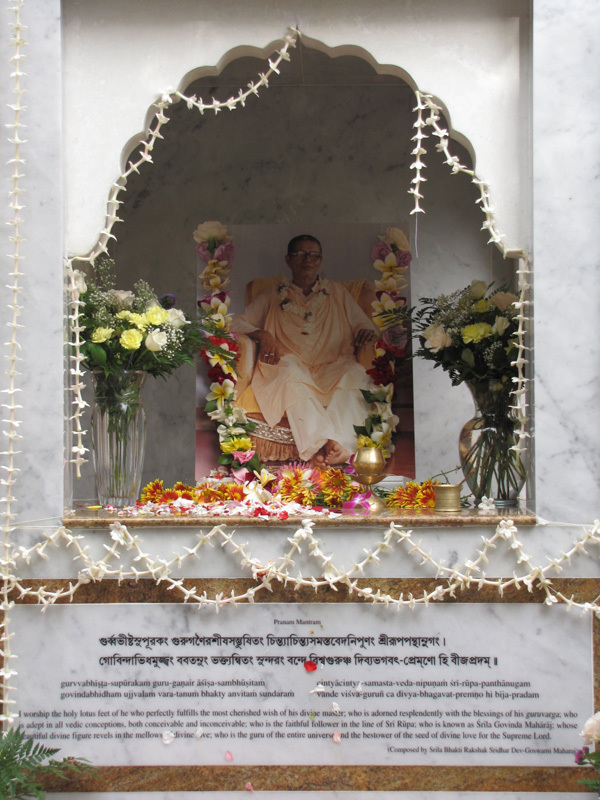 November 4, 2015 – Bahulastami & Sannyas Day of Srila Govinda Maharaj & Srila Janardan Maharaj. 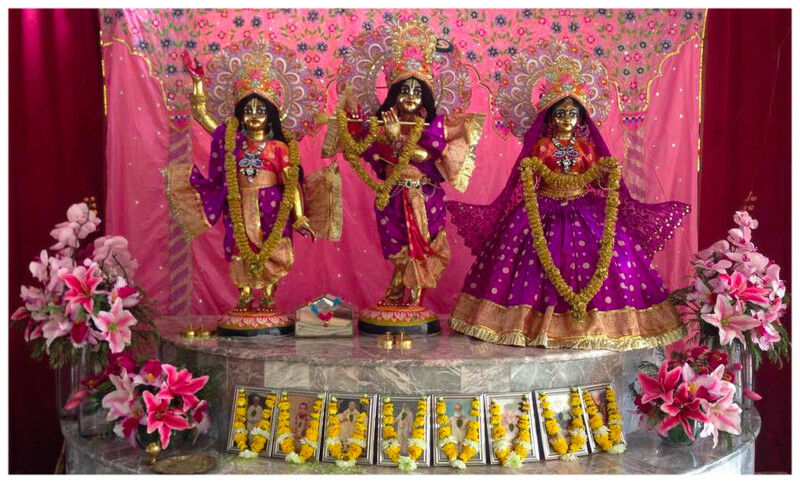 Anniversary of the inauguration of Srila Govinda Maharaj’s Pushpa Samadhi Mandir at the Santa Cruz Seva Ashram. Noon feast. 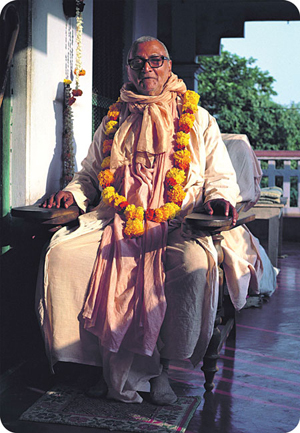 November 5, 2015 – Grand 121st Appearance of Srila Bhakti Rakshak Sridhar Dev-Goswami Maharaj. Apearance of Srila Virachandra Prabhu. Evening program.